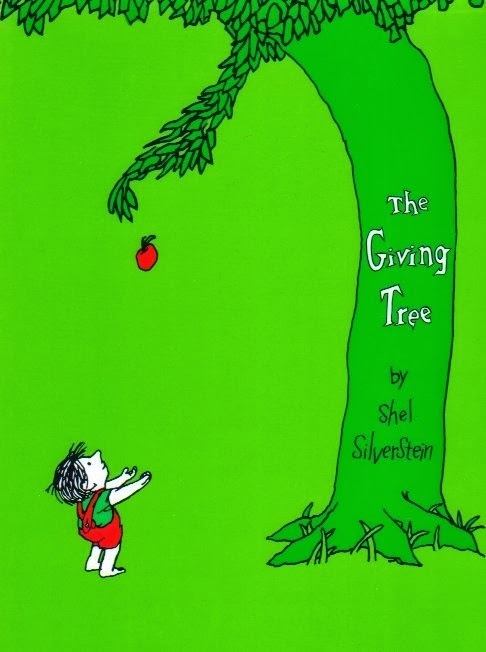 That is the beginning of the much loved story by Shel Silverstein about the relationship between a young boy and a tree in a forest. The story is simple. 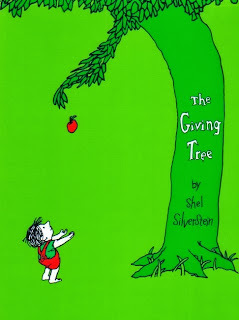 The tree gives without receiving in return. It feels a sense of nurturing and fulfillment just by helping the little boy. 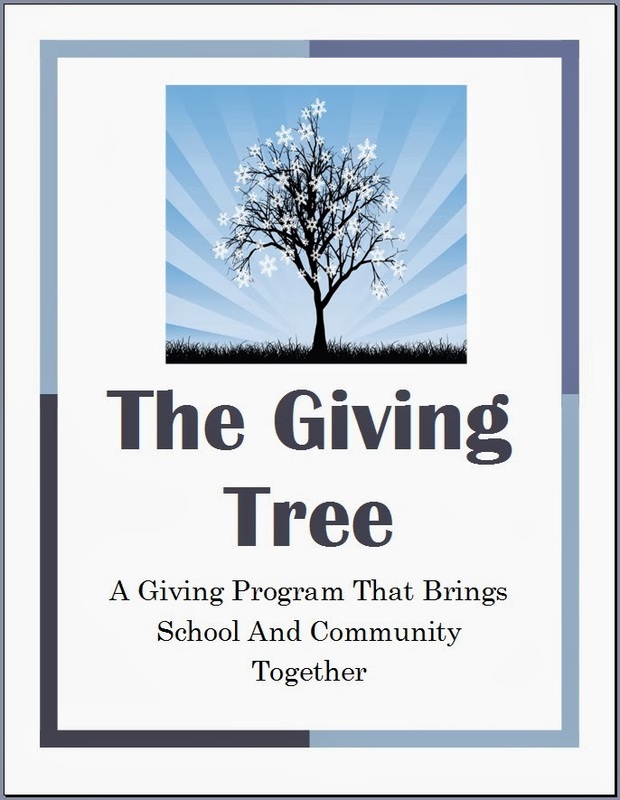 And just like the tree, we have created a program where we give to others to help them out and expect nothing in return. 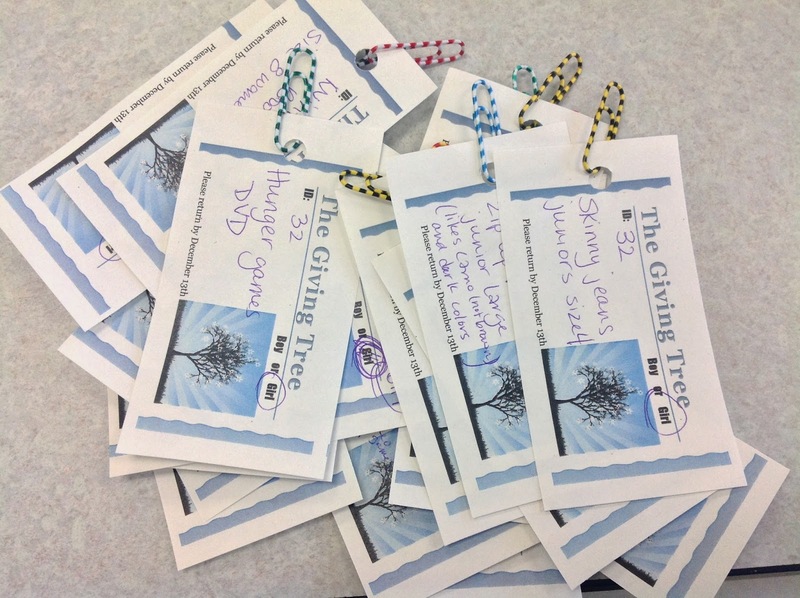 Our Giving Tree Program helps many students in our district get some much needed items during the holiday season. I know it has been criticised by some as a "Christmas Program" because distribution coincides with our winter break and Christmas, but really it is open for all families who have need, regardless of the faith. I personally started this program at the high school more than 10 years ago. We had a program that supported our district's elementary school, but students older than 4th grade were not included. It seemed silly to me that if you were between the ages of 9 and 18, then you didn't need anything. At first, the principal and I decided who needed a few extra things. 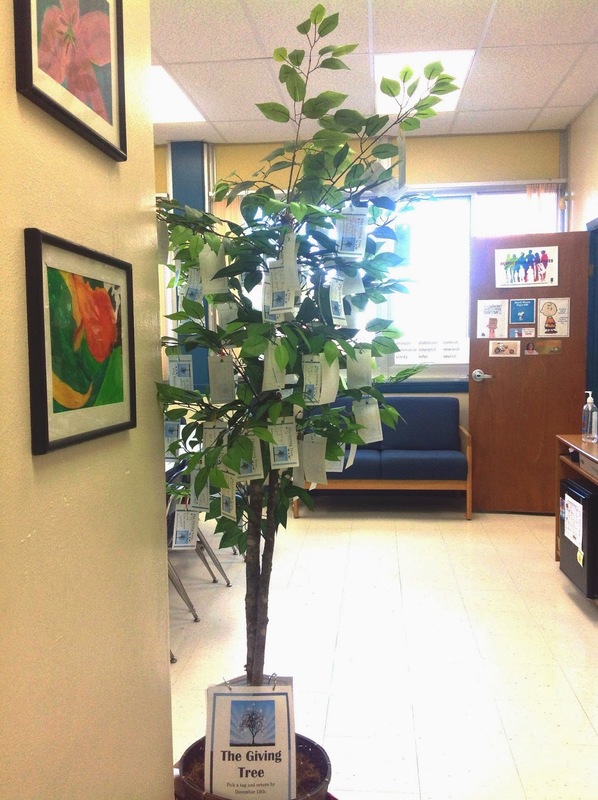 We created tags and hung them on a small evergreen tree on the counter of the main office. At that point, only staff members took tags. Then, as we had everything collected, our school psychologist, the principal, and myself, drove all over town dropping off gifts the day before break. We did this when the students were in class, and left the bags annoyomously. But over the years, we saw more need. Parents began calling asking for help. While our program is still somewhat of a secret for some families, we do contact many families nowadays and ask if they would like a little help. We have grown quite large, and as a staff, could not support all the students ourselves. Three years ago, I asked the music teachers if they could pass a can around at one of their concerts. I can still remember when the chorus teacher brought me back a small canful of change. I think there was about $2.76 in the can. I remember trying to keep the tears back because I was disappointed in the little money raised. I did say "Thank you, this will be helpful for some gift tags." I think you can imagine the delight when she surprised me with more than $200 in cash. I remember she told me, "Well, it wouldn't fit in the can." Each year since, our community helps out more. Last year community members took tags from our "tree", as well as, made monetary donations. 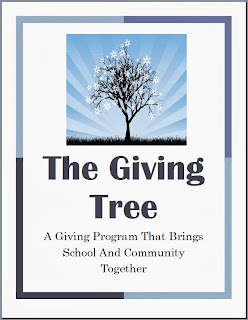 Each year, I am overwhelmed with gratitude for all the help that our students receive. Sometimes, I am not sure who benefits more, me or the students. I always leave for break feeling satisfied. This year, I purchased this tree from AC Moore. The Program, gives me many teachable moments. Kindness. Compassion. Empathy. Love. Helpfulness. Giving. These are all things that are taught. I can't wait for the lessons to begin. 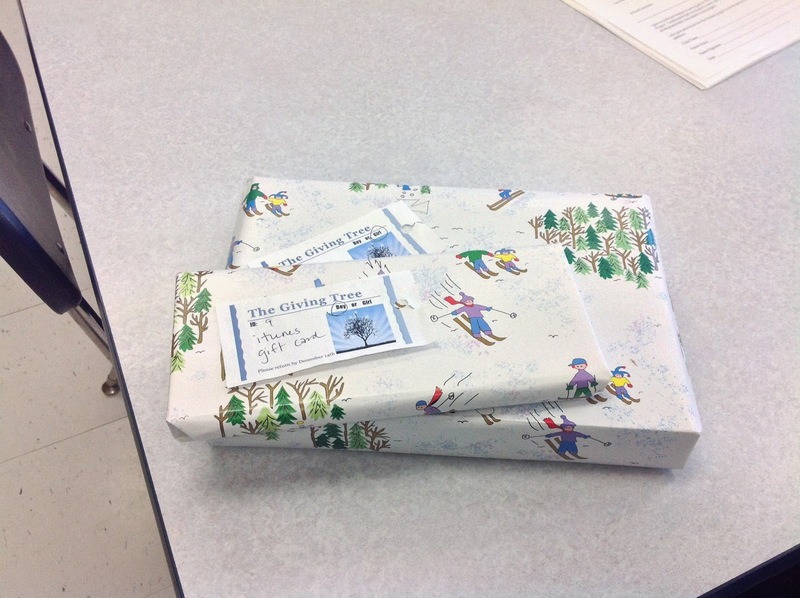 Today, our first presents came in. This is my smile of the day.